Please tick the box to consent to Clearpath using your information for the purposes of communicating with you in relation to business finance, in accordance with the EU's GDPR legislation. Clearpath Finance will not share your personal information with any third party for marketing purposes. Clearpath is a multifaceted finance company with offices in Belfast, Dublin and Manchester. We are one of the fastest growing Alternative Lending Platforms in the UK and Ireland, and have delivered more than £30 million of new finance in the last 18 months to vibrant businesses in every sector. We work with a panel of specialised funders who only provide unsecured business finance — tailored specifically for your needs, and finalised in a matter of days, not months! Fill in the form on this page today - and we'll get the ball rolling quickly. Why Clearpath for Unsecured Finance? Often, businesses apply for finance and get notified of a refusal several weeks or even several months later. This “Slow No” is one of the single biggest obstacles facing businesses in 2018. At Clearpath we say "No Slow No's”. So either way, we'll be back to you in hours, not weeks. Clearpath - The New Way to Borrow for Your Business. From finance requirement to brand new 44,000 sq. ft. premises - in weeks, rather than years! GM Marketing is a food industry distributor based in Belfast, Northern Ireland. In the summer of 2017, GM Marketing moved into its new headquarter facility. See how Clearpath Finance teamed up with GM Marketing to help the company go from strength to strength. 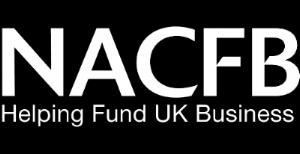 Got an established business with requirement for unsecured business finance?